A visually enticing production of Henry Purcell’s baroque opera Dido and Aeneas, directed, designed and choreographed by Cécile Roussat and Julien Lubek will be presented at the Israeli Opera from June 2 – 11, 2018. The opera will be performed by soloists of the Israeli Opera, accompanied by the The Barrocade Ensemble, who specialize in early music, building many of their own instruments. The opera will be conducted by Ethan Schmeisser. The opera will be sung in English, with English and Hebrew surtitles. “When I am laid in earth,” known as Dido’s Lament, is the most famous aria from the opera, and has been recorded by many artists, including those not typically associated with opera, such as singer-songwriter Jeff Buckley. Directors, designers and choreographers Cécile Roussat and Julien Lubek met in 2004 while studying at the international mime school of Marcel Marceau. Following graduation, they pursued further studies in drama, acrobatics, puppet theatre, dance, and illusion. 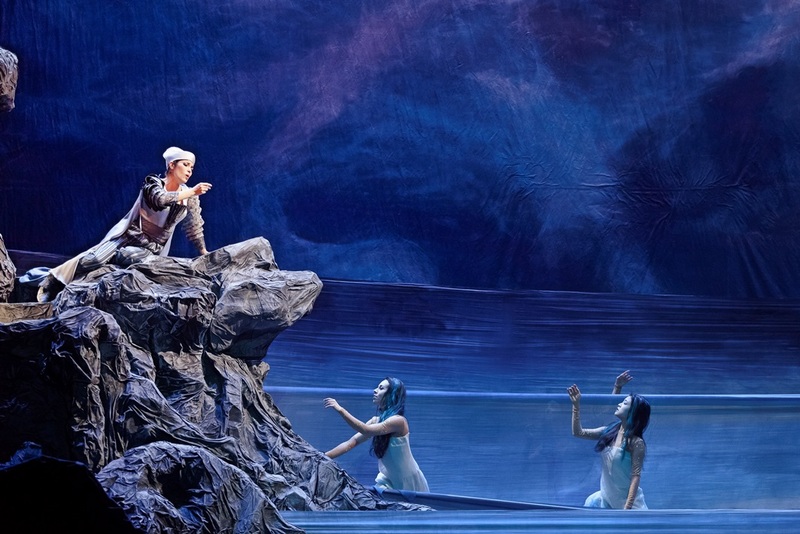 Directors and designers of several operas, their productions are known for their visual and dynamic quality, merging circus arts and visual theatre. Composer Henry Purcell (1659 – 1695) studied music and began writing music from an early age. He was appointed organist of Westminster Abbey in 1679, replacing his teacher John Blow (composer of the opera Venus and Adonis). In 1682, he was appointed organist of the Chapel Royal, and held both positions. Dido and Aeneas was first performed by around 1689 at Josias Priest’s girls school in London and was not performed again in Purcell’s lifetime. Purcell was only 36 years old at the time of his death, with Dido and Aeneas as his only full opera. The work has known many adaptations over the years, with choreographer Mark Morris creating a dance work in 1989, that was also filmed. Sasha Waltz directing a delightful version in 2005 (that was also performed at the Israeli opera), that included dancers performing in a huge tank of water onstage. 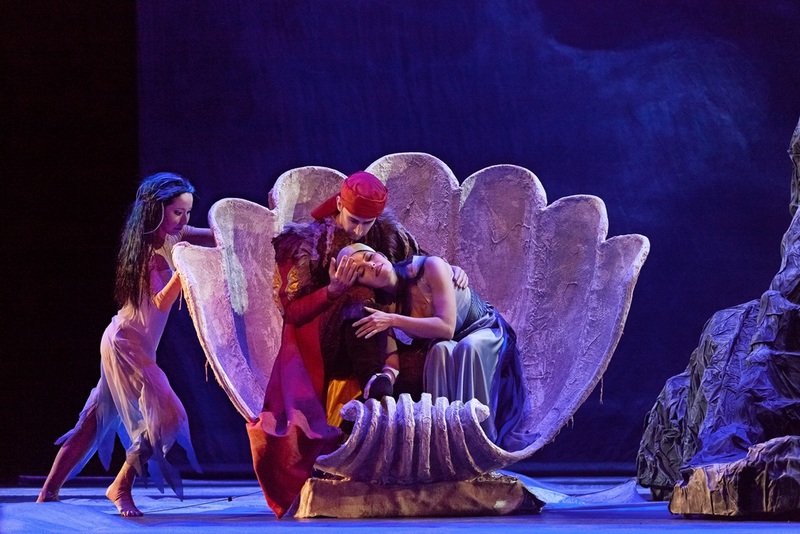 The maritime theme may be seen in this production’s costumes and set – watch for the appearance of the Sorceress, to be performed by Guy Mannheim. Anat Czarny and Tal Bergman alternate in the role of Dido, with Oded Reich and Yair Polishook alternating as Aeneas. Pre-performance lecture – One hour before each opera performance there is a 30-minute introductory lecture in the auditorium (in Hebrew). Opera staffers present the opera and the production and enable the audience to get some extra information a short time before attending the performances. Admission is free for ticket holders. Backstage Tours – a 30-minute tour backstage begins 90 minutes before the opera, at 18:00. Tours will take place on June 6, 7, and 11. Opera Talkback – let the thrill of the opera linger on as the performers come out to the foyer to talk with the audience (right after the opera ends). Opera Talkback dates are June 6, 7, and 9. Admission free. Tickets and additional information are available on the Israeli Opera website, or call: 03-6927777.